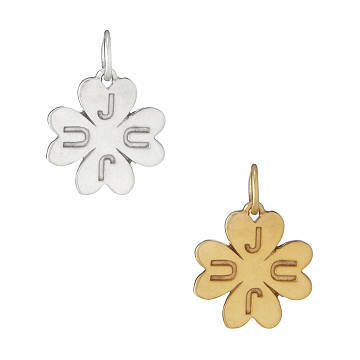 Casey Benjamin’s inspirational charm symbolizes luck, abundance, and gratitude. Two-time cancer survivor Casey Benjamin believes that the jewelry you wear every day can bring "good juju" into your life. Like this lucky clover, which serves as a reminder to focus on gratitude, cultivate goodness, and celebrate abundance. Charm: 5/8" L x 5/8" W Chain: 18"